Everybody's favourite blue blur is all grown up at the ripe old age of 20! 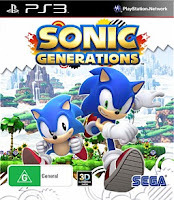 That's right, Sonic the Hedgehog has turned 20 and Sega have released Sonic Generations as a birthday present to us all. Admittedly, I'm a massive Sonic fan. In the school yard I always chose Sonic over Mario and Tails over Luigi... I mean really? Luigi? So its no surprise that I really enjoyed Sonic Generations. Certain parts were direct replications of old school Sonic with a lick of next gen, hi-def paint and soundtrack update to boot. 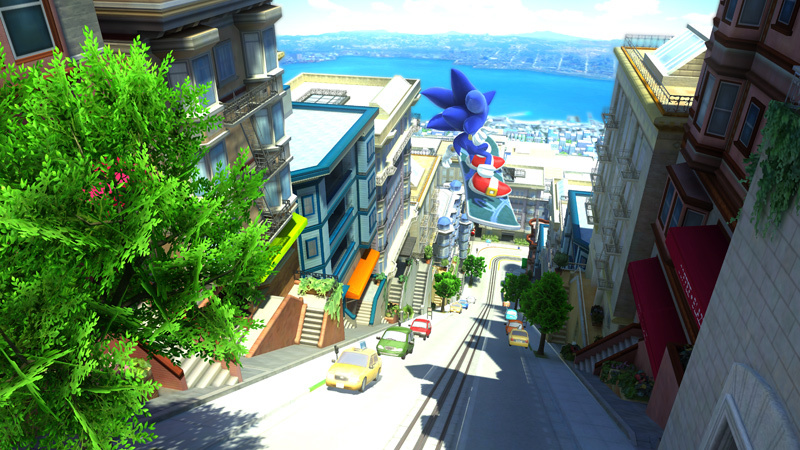 The opening stage, Green Hills, transported me back in time to my 11 year old self being amazed by the pace and fluidity of Sonic Team's anthropomorphic hedgehog platformer. It was like nothing I had seen before and had Mario chasing from behind in more ways than one. 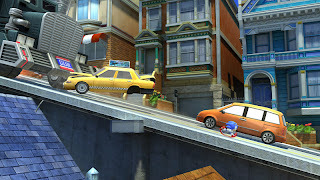 After playing the first stage as classic Sonic I switched places and ran through as modern Sonic. These levels take place in a 3D realm but are equally as linear as its predecessor. Unless you are moving forward at a blistering pace you will be falling into the murky depths below. At times the modern Sonic stages feel as though you are entirely out of control, holding the stick forward and hoping for the best. In earlier stages this can work but as you progress you really need to have your wits about you. The speed of action is blistering and can leave even the most experienced gamer wishing for some Clockwork Orange eye wear. This is some serious blink-and-you-miss-it stuff. For Sonic fans such as myself their are plenty of goodies to unlock including sounds, images and special moves. Add to this a story that reunites Sonic with all of his old friends such as Tails, Knuckles, Amy Rose and more. This adds even more nostalgia to the mix all the while keeping things fresh. Both sides of the story come together well and thankfully classic Sonic doesn't wind up feeling like Old Sonic. 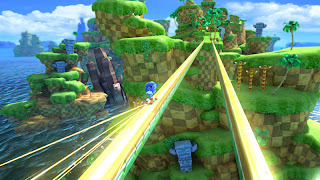 I am unashamed to say that this is the most fun that I've had with a Sonic game for quite a while and left me feeling like "yeah, this is the Sonic that I know and love". I can't help but feel that this is thanks to the hard work, and obvious passion, of Sonic Team. This game is incredibly fun for kids of all ages... myself included and it didn't actually feel like a cash grab based on the franchise. 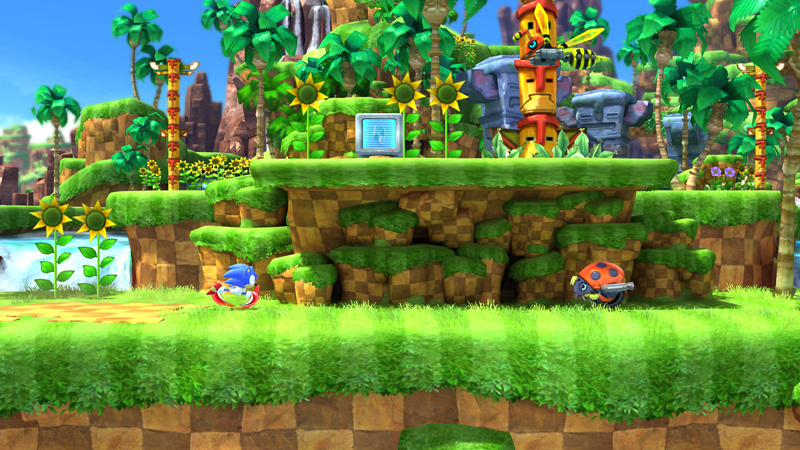 Sonic Generations felt like a celebration of Sonic Team's baby, a joyous party for their blue baby boy. Sonic Generations is available now on PS3, Xbox 360 and Nintendo 3DS.